They have many safety benefits as well as security features. 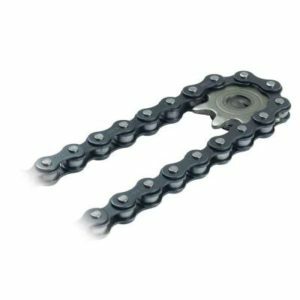 When choosing an opener consider if quiet running is necessary as when a bedroom is located over the garage, if so you may want a “belt drive”. Do you have a heavy wooden door, a “screw drive” may handle the weight load better. Our technicians and call centre staff can help you determine which opener will serve your needs with minimal maintenance requirements. Designed to act as lock-in mechanisms, electric garage door openers add comfort and security to you and your garage door. Even if you will still have the possibility to open and/or close your garage door manually, opening and/or closing your garage door with an electric opener will become easier and faster, as well as reducing the influence of extreme weather conditions, such as snow. As your safety comes first, we provide garage door openers approved by government regulations. We have found that Liftmaster & Chamberlain makes the highest quality opener backed with the best warranty in the Industry. At Ottawa Garage Door, we service all makes and models of garage doors and openers. We offer the highest quality service with the lowest guaranteed prices for all garage door products and services. This is the most common type of garage door opener that is used in many houses across Canada. This opener uses a chain that is the mechanism that that pushes and pulls the door open or closed. This type of opener is a good choice if you want something that is affordable and will last a long time this is a great option for you. The con when it comes to this one is that they tend to make more noise than some of the other options. If you can stand the sound this could be ok. 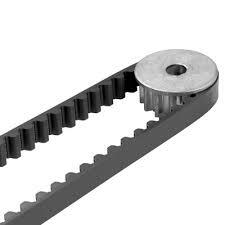 The difference between this option and the chain drive is that it has a belt in place of the chain. It still uses the belt to push or pull the door. This option is great if you have an attached garage because the amount of noise that these ones offer is quite a bit less. If you have a garage that is opened and closed often or at all hours of the night this might be the best choice for you. The con is that this is going to be a bit more expensive than the more standard chain drive. 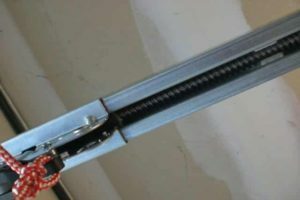 This option doesn’t use a belt or a chain but instead has a steel rod that rotates to move the garage door open and closed. This option is great because there are less parts and that means there are less things that can go wrong with this door. It also means the maintenance on these doors are easier as well.